Beautiful black Standard Poodle Puppies. Born 11-7-18 ready for their new homes 1-2-19 and after (8 weeks old)Our puppies have had a full health check. They have been wormed twice and show no signs of parasites. They have received their first round of vaccinations and have records verifying their shots. They are AKC registered. The mom is ours and she is about 35 lbs and a chocolate standard Poodle. 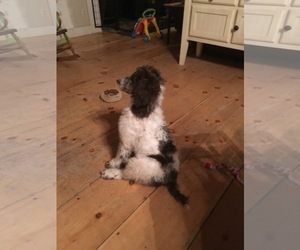 She was bred to a cream standard poodle who was about 50 lbs. the puppies should grow to be somewhere in between as far as weight. Very smart puppies. Wonderful family pets or hunting dogs. Pictures of the dame and the sire included. Items Included: Current on all vaccinations and worming. Fully vet certified and health checked. Sire is fully AKC and CKC registered. Beautiful cream standard poodle. Dam is AKC registered. 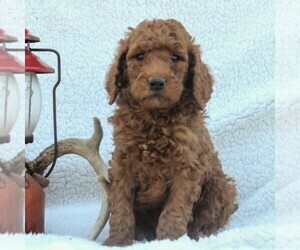 Beautiful brown/chocolate standard poodle. Care: The Poodle usually requires a professional groomer as his coat requires a good deal of care. However, if the dog is not a show dog, an attentive owner can do the occasional trimming required. 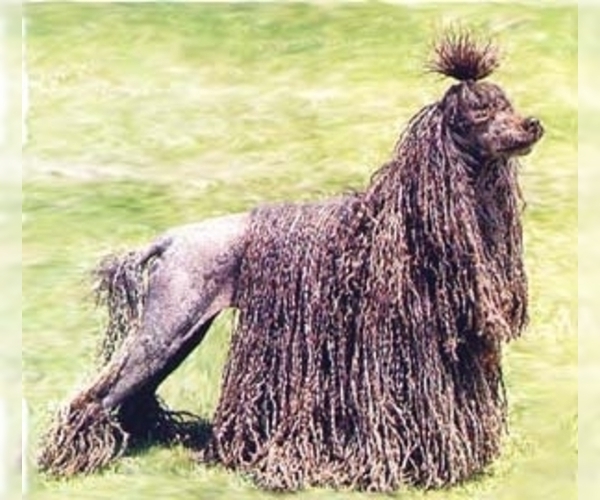 This breed can be washed often and does not shed. They should be brushed regularly.